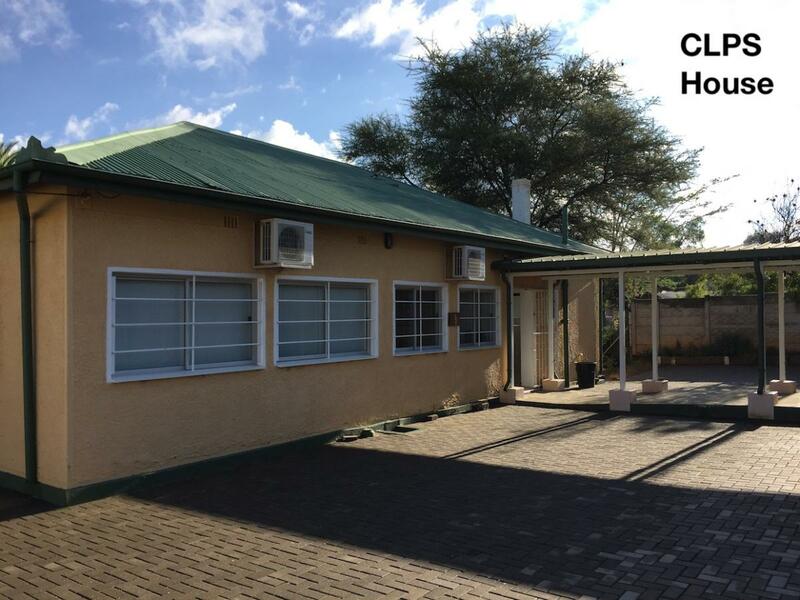 ILMI will be hosting events and meetings at the Centre for Land and Property Sciences (CLPS) House, located close to main campus with entrances from Haydn, Gluck and Brahms streeets in Windhoek West. You can find directions by using digital maps here. CLPS House is located south of the lower campus. CLPS House can be reached from Haydn (with parking), Gluck (with parking), and Brahms streets (pedestrian). 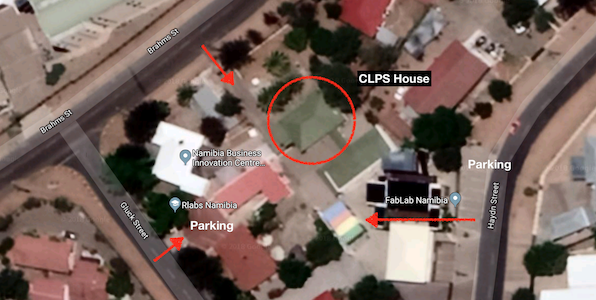 Entrance to the CLPS House is opposite the entrance to the NBII 'Mobile lab'.